Today’s two things come via links courtesy of Daniel Pink. His book Drive – The Surprising Truth About What Motivates Us – has been sitting near my bed for months. Now that I see all the great content on his site and twitter account (@danielpink), I might just be motivated enough to move it up in the queue. The central concept proposed (linked below) is that information, much like our caloric options, has proliferated to such an extent than an entirely new industry has been created to help us manage the issue. Essentially, he suggests we pile too much information on our plates now, in the same way we started to pile too much food on our plates decades ago. A useful analogy, in my opinion, and a concerning one. Despite a multi-billion dollar diet industry, collectively we clearly haven’t figured out food. Obesity rates continue to climb, particularly in kids. Does the similarity between food and information mean one day ADHD will be the new Diabetes? It’s been 72 years since McDonald’s was founded and we haven’t yet figured out how to deal with the food in front of us. Certainly in the 6 years since Twitter launched the stream of cool stuff coming at us has simultaneously multiplied and become more difficult to say no to. I have never been great at turning down the chance to super-size my value meal. I am no better at avoiding the seduction of another glance at Twitter, email, RSS feeds…the list goes on. That all said, I actually had some personal success with dieting through 2011. My breakthrough came when I translated a trick that had helped me manage a family with two kids, full-time work and a part-time MBA program for 2.5 years. The solution was simple: meticulous planning, diarizing and recording of everything on my calendar. In translating the idea to food this meant keeping a diary of all food intake via an app on my phone. I set no goals or dietary restrictions, but found the simple act of keeping track kept me honest and motivated. Personal drive immediately and drastically improved the quality and volume of what I consumed. In 9 months I lost about 20% of my body weight – a drastic improvement with almost zero effort. 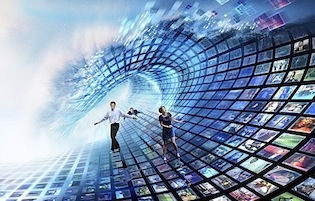 It all makes me wonder: Could the same “diet” concept translate to managing a information overload? If, after a week, the idea seems manageable and promising I will continue my checklist in hopes of seeing if my behaviour changes over time. My working title is The Streaming Diet and March 1 (tomorrow) sounds like a natural place to start. 2. Saved by the Pomodoro? Keeping on task is a problem for just about everybody. If you don’t have issues with it, you probably quit reading this post somewhere in #1 above. 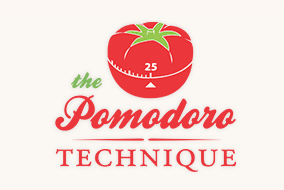 The question is, can a Pomodoro save us from ourselves? Pomodoro is italian for Tomato, and apparently the shape of most simple timers in Italy, so in North America this idea might gain wider appeal as the Egg Technique (though it would not have the same marketing appeal). I find the concept appealing in its simplicity. I also find it appealing in that there is an app for it. I’ve been an advocate of mini-breaks for years and I used them incessantly while studying to artificially “chunk” my progress. I like the concept for work too, due to the natural tendency to allow interruptions – phone, email, open-door – to impact my ability to buckle down and keep me from critical tasks for the day. This seems like another worthy experiment for me. I have a sense that the short time blocks might simultaneously make me more productive, and help me with The Streaming Diet that starts tomorrow. Time to go shopping in the app store. Link to the inspiration for this post, Daniel Pink: Can a tomato make you more productive? 1. Twitter Strategy: Following yesterday’s post on the failings of my initial twitter strategy for this blog, I spent some time reflecting on the experience and researching alternative approaches today. The result however is that about 5 weeks in I am already concerned with what other people are learning from me. In the end this suggests to me that while I understand that developing a meaningful set of followers on Twitter will require a new strategy, this is not the task at hand. That may one day become a goal for this blog. Today though, is not that day. Instead for now I will stick to what I call “organic growth” – a small amount of self promotion via my own personal website, WordPress tags and the odd tweet. I don’t intend to employ “fertilizer” (e.g.tweet bots, meaningless direct messages) to draw in followers at this point. One day, some day, not today. 2. Twitter Spam: I recently started following Guy Kawasaki (@GuyKawasaki) on Twitter after a friend recommended his book, Enchantment. I actually already bought a copy of the book too, but I haven’t got to reading it yet. I was looking forward to it though as it seems right up my alley – it adresses “The Art of Changing Hearts, Minds and Actions” according to the cover. I assumed, as one reasonably might, that his online content would follow a similar theme. Or any theme. 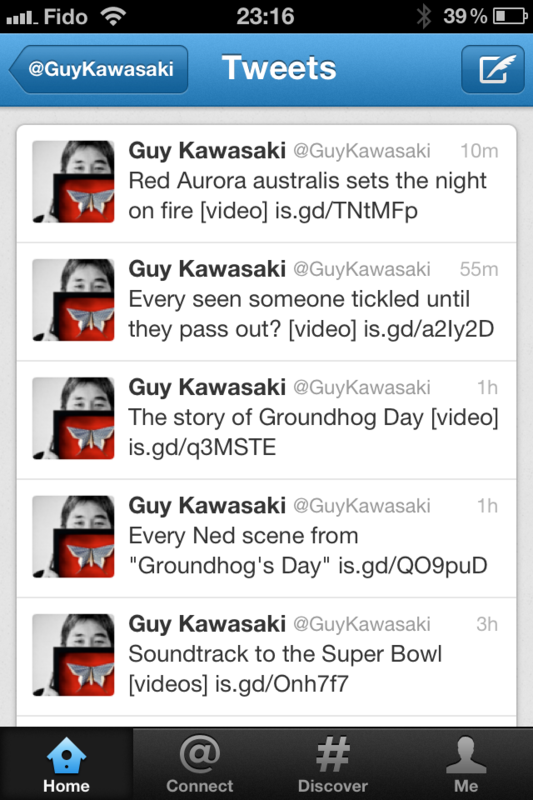 Instead it seems that Mr. Kawsaki’s twitter strategy is all about spam. Within minutes of following him my timeline was clogged with garbage. Post after post about things like predicting the future with asparagus. He appears to use an automated mechanism that posts tweet after tweet to fill your timeline, and then after a few hours it deletes those tweets from his history and re-posts exactly the same thing. Good content or not, constant re-posts always keep him on top of my timeline. There are numerous other examples too, but I don’t want to risk being called a hypocrite for trying to get the same point across 7 or 8 times. So, today I learned that regardless of whether or not I have a successful Twitter strategy, I have now discovered at least one approach that turns off the consumer in me. 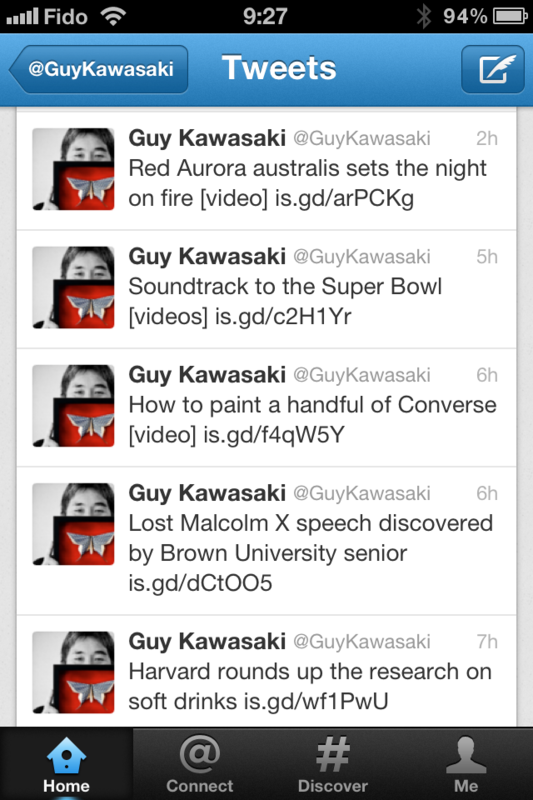 The 491K other people that follow @GuyKawasaki probably don’t agree with me, but for now my plan is simple. #Unfollow. I Dance at a Pre-School Level and If Nobody Clicks your Link does a Tweet Make a Sound? 1. I dance at a pre-school level: I have never considered myself much of a dancer. Today I was presented with a wonderful opportunity to gauge my proficiency level. With Mommy working, Daddy was on the clock for two dance classes this morning. The 2 year-old & parent participation class proved to be the most enlightening. Bunny hopping? Jumping on one foot? Rolling on the floor? Listening quietly to the teacher? One class and it is clear I’ve got all that down cold. Maybe it’s not that I am a bad dancer so much as I have not been assessing myself against the correct criteria. Lucky I was not trying to monetize this little blog experiment. Based on my experience so far it seems I have located a colony of people that want to gain followers for no other reason than, I presume, ego-stroking. I don’t read their stuff and they don’t read mine. Seems a fair trade, but utterly wasteful for both of us. This proved to me that, as I expected, a passive twitter account is not going to get you anywhere. It might work for a few people with a tried and true message or those with a dedicated base outside twitter (e.g. @thisissethsblog), but if you are just starting out there is no substitute for hard work. Unless you engage others directly, and in a meaningful way, you are just another addition to the background noise. It strikes me that the term “follower” is part of the problem. It seems relatively easy to gain followers, but that alone is not going to get you anywhere. If I was trying to promote a business via twitter I think I would try to redefine the term as “customers.” That might shift my perspective towards an approach that has more of a hope at being successful. Time to develop a new Twitter strategy…or abandon the channel. 1. I get Twitter…finally: I’ve used Twitter for about 3 years, mostly to follow old school friends and to source news, articles and blogs. I post a few things on my personal account (@darrenmcknight), and it is actually the first app I use in the morning, just to see if anything critical has happened in the world. Admittedly though, the whole conversation thing has been lost on me. Until now. Tonight I watched Dragon’s Den on CBC – easily my favourite show and along with Amazing Race the only reality TV I can stomach – and simultaneously followed the stream of tweets. It might be that the Dragon’s Den audience is a wee bit more refined than Bieber’s Army or just about anyone that tweets about the NBA, but it is hard not to enjoy a stream of thought provoking comments along side something you already enjoy. It was like watching the show with a hundred cool, smart people and the Director in my living room. How can you beat it when the stars – actual Dragon’s – chime in real-time? I am the kind of guy that watches tv with my phone next to me and my laptop open doing three things at once. Now that I have a use for Twitter it will need to be four things. 2. Free is rarely free: I signed-up for a free webinar on LinkedIn today that, at first glance, sounded topical to my work and I hoped to get a few nuggets out of it that I could apply at work. I can’t believe how easily I was fooled by good marketing. I won’t burn the company here but suffice it to say it took about 90 seconds to realize the presenters had only one goal. They wanted to sell me their software. Looking back the promotional material, it was deliberately misleading. I don’t mind a bit of a sales pitch but if you are going to offer to educate me then educate. If you are going to sell me on something then sell me. You aren’t going to trick me into spending $50K on software. The only guarantee today is that you lost a potential customer. So, today I learned, or maybe I was just reminded, free is rarely free. When you find something that is both good and free, it is probably also worth paying for.